New Customer in Barnardsville called the office with complaints of iron in the water that’s staining stinks and tubs throughout the house. Hard water was also suspected. This customer had some experience with filtration in the past and had an existing iron filter that was no longer meeting his needs. 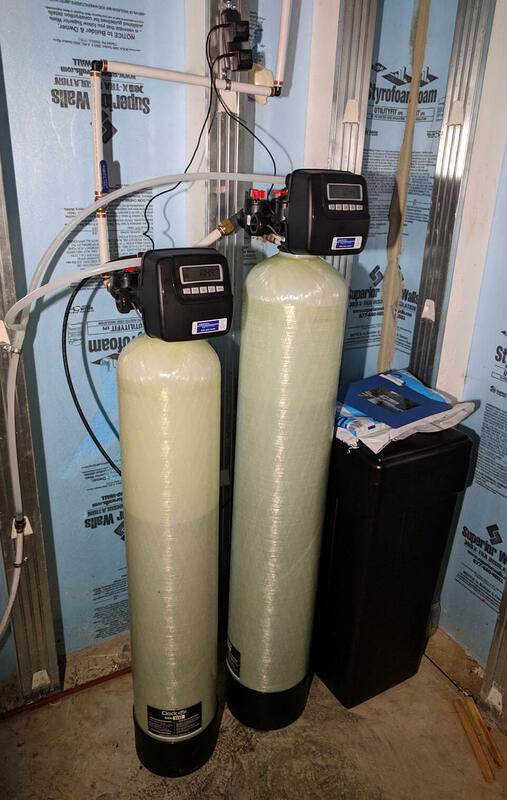 After the water test results were in, we recommended our American Made iron filter to remove the iron and a water softener from the hard water.